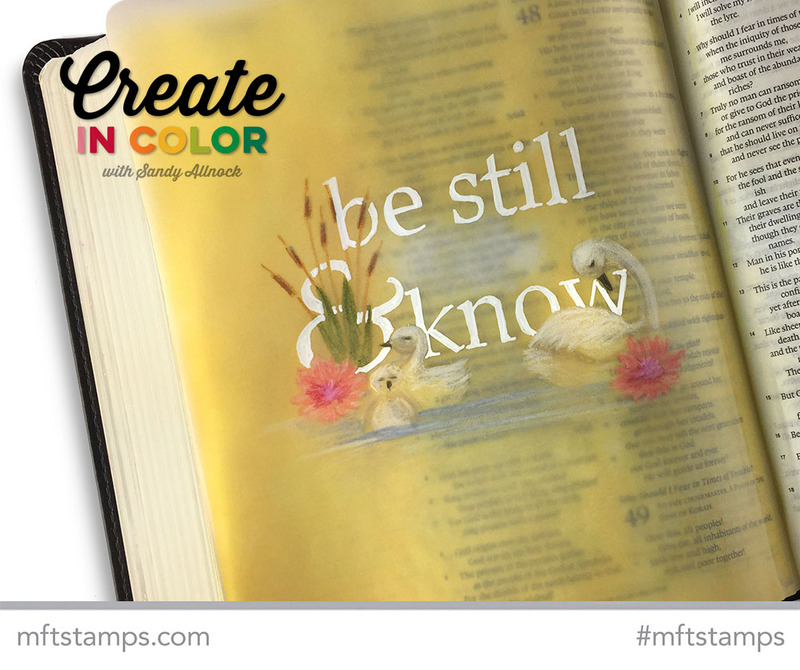 This month’s guest video over at MFT is a little different….instead of a card, I made a Bible journaling page. But the technique will work for cards too…hope you try it out! Click HERE to go see! I love the way this came out. I will be doing this. I love the pencil work and the white pen really makes it. Thanks for showing what to do with vellum and the background bible painting. Such a beautiful page, Sandy. I’ve embossed on the front of the vellum and colored on the back but never thought of coloring on both the front and the back. Such a lovely effect! Thank you for sharing. What a beautiful page. I love vellum even more now. You taught me so much in this video! WoW!!!! Thank you! Bought the stamp! Now I am ready to go. AWESOME vellum overlay for Bible page! Love this! What a beautiful way to highlight this verse! It’s simply gorgeous Sandy, thanks for this great idea. So very lovely. Vellum leaves such a soft touch. Love it.